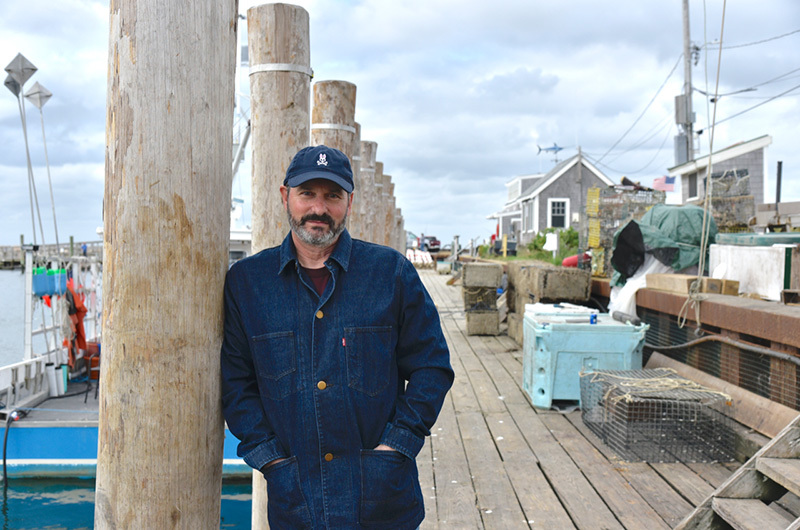 Screenwriter and director Scott Frank on Dutcher Dock in Menemsha. 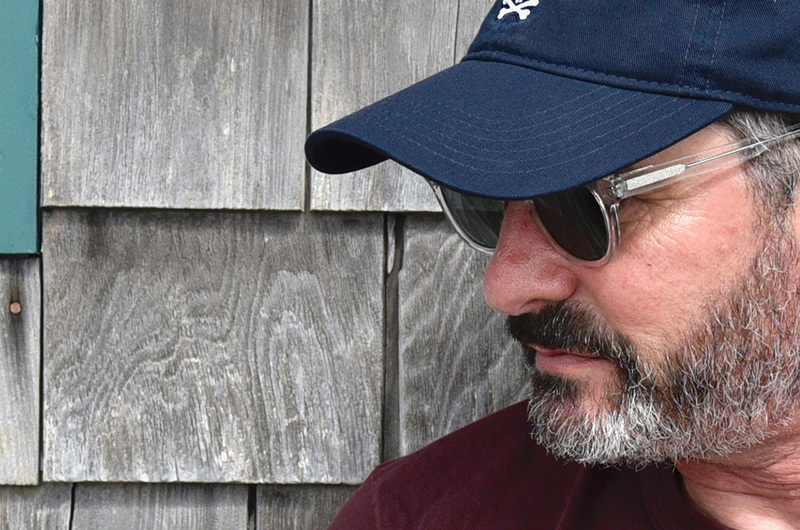 Scott Frank is seated outside Larsen’s on Dutcher Dock in Menemsha eating a bowl of clam chowder. The sky is big and gray, and the wind has picked up. He wears a baseball cap and a thick denim shirt, looking much more comfortable than in the tuxedo he wore a few days earlier at the Emmy awards ceremony in Los Angeles. Godless, the Netflix series he created, wrote and directed, was nominated for 12 Emmy awards, including best limited series, best director and best writer. It won three, for supporting actor, supporting actress and title score. Mr. Frank gestures with a spoon to the far side of Menemsha Pond. Godless is a moody western, both savage and a testament to female empowerment. The idea for the show began percolating 16 years ago. He and his researcher Mimi Munson began digging in, trying to make it more than just an itch to scratch. He watched movies, read western novels and old letters from that time period, transcribed by hand by Ms. Munson from libraries that wouldn’t let the original artifacts leave the building. Then, a few years later over lunch, Ms. Munson said something that began putting the pieces into place. Have it, however, is an ephemeral term in Hollywood. After all, that idea clicked a long time ago and Godless didn’t surface on Netflix until November of 2017. During that period, Mr. Frank spent a lot of time on the Vineyard, first as a summer visitor and then a seasonal homeowner, trying to make sense of all the material he had unearthed. Mr. Frank is clearly not afraid of the long, slow creative burn. In fact, he says it is the key to his process, sticking with an obsession and letting it change as he too changes and matures, both as a writer and a person. That’s the way he has always worked. Even the story of his life required a bit of rewriting, at least for the first act. He went to college thinking he would become a doctor. “My whole life I have written,” he recalls. “Stories and all kinds of things. I wrote for the school newspaper, but when I was supposed to be writing news articles I was making them up, just telling stories all the time. Mr. Lazarus gave Mr. Frank an assignment to write a five-page script called The Confrontation. He received encouragement after turning in The Confrontation, a short scene about a guy introducing his fiance to his mother. “The catch was the mother was dead. It took place at the cemetery,” Mr. Frank says. He switched his major and went on to write a screenplay during his senior year that would become Little Man Tate, the story of a boy genius and his mother which over a decade later would star Jody Foster in her directorial debut. His career has included writing screenplays for Get Shorty, Dead Again, Minority Report, Marley & Me, along with Oscar nominations for Out of Sight and Logan. But he is relatively new to directing. Easier said than done, though, when wanting to make a western, a genre no longer beloved by Hollywood because they are expensive to make and don’t travel well to foreign markets. Throw in an inexperienced director and the movie project stalled for years. Then came the recent renaissance in television, which not only granted him a greenlight from Netflix to write and direct but allowed him to expand the story from a two-hour film into a dark seven-part limited mini series. The exploration mostly involved the female characters, turning what was once a story that focused on fathers and sons, a theme Mr. Frank often returns to, into a movie about the strength of women. It arrived at the perfect time, almost like he planned it, which he confirms he did not, although Ms. Munson knew it all along. On the Island this fall, Mr. Frank is currently working on what he hopes will be his next project, another series for Netflix based on the book The Queen’s Gambit by Walter Tevis. The story takes place in the 1960s during the rise of the Cold War, and is about a girl raised in a Kentucky orphanage who becomes a chess prodigy. Mr. Frank says he has always been able to do more work on the Vineyard in the few weeks or months he is here than the rest of the year combined. 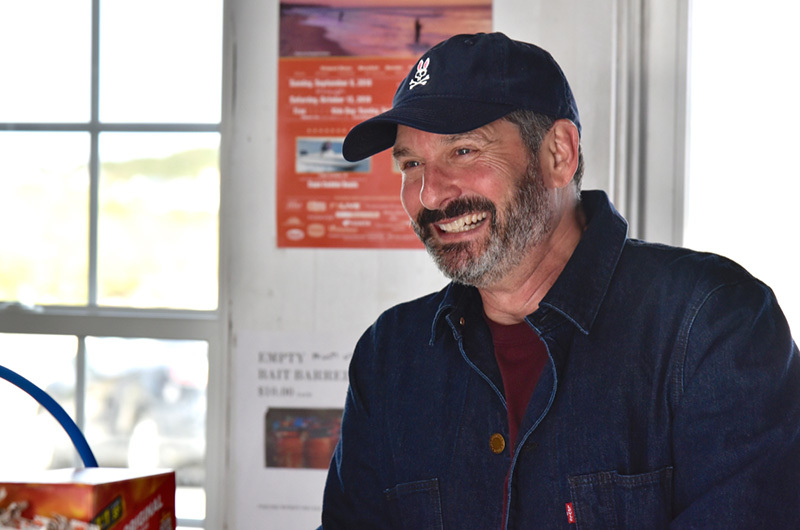 With that he stands and walks down the length of Dutcher Dock, eventually heading into Menemsha Texaco to say hello to his neighbors on the Island, Katie and Marshall Carroll, betting they will laugh at him out here doing an interview and photo shoot. Mr. Frank laughs easily, both feet planted firmly at home on the Vineyard.